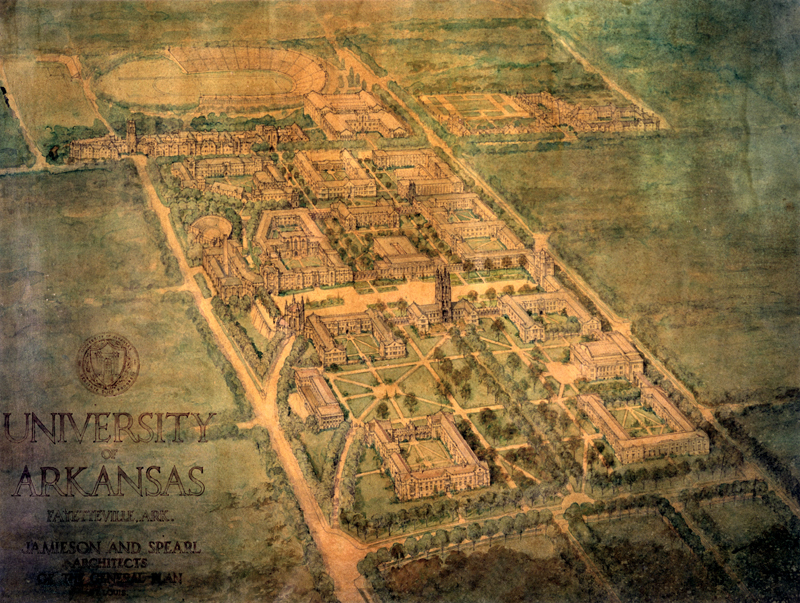 In 1925, the St. Louis architectural firm Jamieson & Spearl was commissioned to design a long-range plan for the campus. The plan called for the demolition of every building then existing (including Old Main) and the construction of an ambitious campus of gothic buildings, similar to the new work taking place at Yale University. The proposal, presented in both plan and perspective paintings, shows a tightly structured grouping of academic quadrangles. The plan is principally orthogonal, although adjustments are made at the south edge of the campus where the topography becomes steep. The plan guided construction for many years, with a total of ten buildings in the gothic style built more or less according to the guidelines. 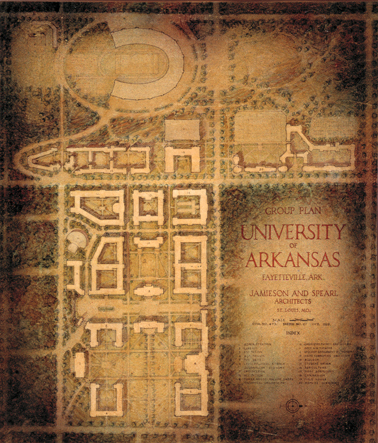 The first building to be completed in accordance with the Plan, the design was directed by Jamieson and Spearl to ensure compliance with the architectural intentions set forth by the 1925 Campus Plan. 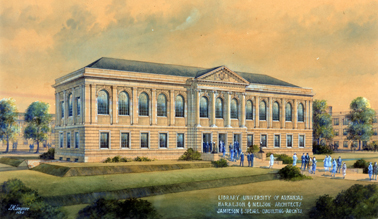 As the center of the new campus, the University Library was the most monumental of the new buildings. The plan of the building was inspired by the Bibliotheque St. Genevieve in Paris. The design was directed by Jamieson and Spearl to ensure compliance with the architectural intentions set forth by the 1925 Campus Plan.